Code Blue Computing - Get Involved. Make Friends. Enjoy Motherhood. 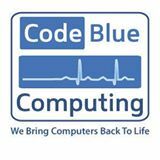 Code Blue Computing is North Metro Denver’s leading Computer Support company supporting residential and business users. We specialize in Computer Repair, Networking, Virus Removal, Data Backup and Recovery, and Home Theater Installation.